Customer Experience Matrix: Is the Bloom off the Blockchain Tulip? Is the Bloom off the Blockchain Tulip? Blockchain is the sort of cool technology that should excite me, but for some reason it does not. Part of my resistance is the whiff of humbug that accompanies so many blockchain-based ventures, whose founders often seem more excited about their Initial Coin Offering than building the actual business. But even ignoring that, I fail to see how the advantages of blockchain will create the revolution its proponents expect. I’m not the only skeptic. Gartner recently found that just 1% of CIOs have any blockchain adoption and 77% have no plans. GlobalData predicted that blockchain will lose its gloss as projects are shelved or evolve in non-blockchain directions. 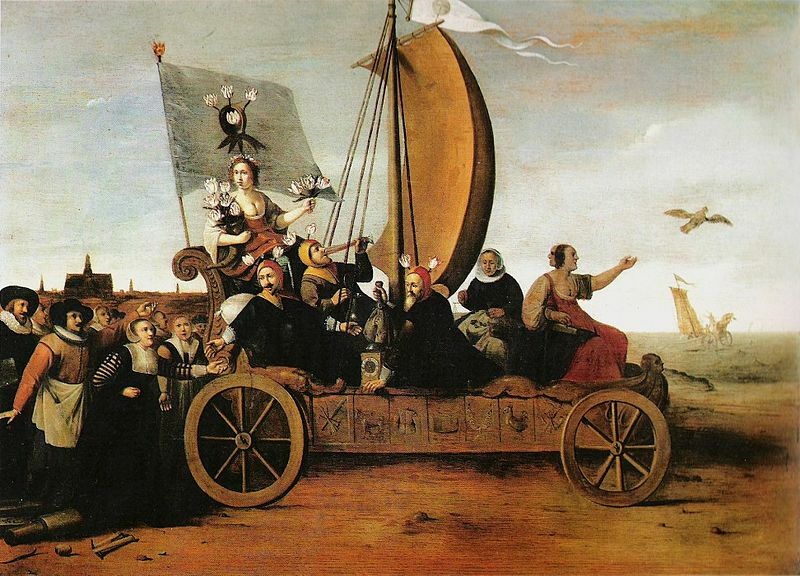 Like the Dutch tulip mania in 1637, the blockchain bubble is bound to burst. Let’s start at the beginning. Blockchain is a “distributed public ledger”, which means it provides a provides a public stream of transactions that are stored in multiple places and can only be updated by verified agents. How the verification happens is a little vague in the discussions I’ve seen, but for now let’s assume that it’s fast, cheap, and perfectly secure. You might want to be a bit more cautious in real life. The twin advantages of blockchain are that the data can’t be changed once it’s accepted (because it’s stored in multiple places) and the data is public (so anyone can easily see it). To be clear, data can still be encrypted, so blockchain contents can be kept private if the owners wish. That’s cool in its own nerdy little way, I guess. But in practical terms, the benefit is much lower transaction costs because there’s no need for intermediaries to verify identities or register transactions. This in turn makes possible things like micro-payments, which aren’t feasible if the cost of processing each transaction is too high, and public inspection of data, which again isn’t feasible if you need to control access for security reasons. Here we’ll accept another dubious assumption, that the blockchain processing is essentially free. In real life somebody has to pay to verify identities and move, process, and store all that data. So, what wonderful new things is blockchain supposed to make possible? • Direct sale of personal data. At least half the discussions of blockchain in marketing propose some form of paying people for their personal data. The usual plan is to get direct payment from advertisers who want to send messages based on your information. Sometimes the payment would be in return for viewing ads, completing surveys, or taking other actions. I’m hugely skeptical of this idea. The practical roadblocks have nothing to do with blockchain: they're signing people up, getting them to update their data, and ensuring their data is accurate. Overcoming these depends on paying consumers enough money to make the effort worthwhile. I suspect most consumers won't be bothered, and that advertisers will really be interested in relatively few, high-value individuals. (These are also the least likely to want to participate. That some consumers are more valuable than others is never mentioned when these programs are discussed.). Transaction costs are not the problem, so blockchain isn't the solution. • Loyalty systems and coupons. These also depend on consumers being willing to participate. But they’re familiar programs with proven consumer appeal. Blockchain makes sense here because transaction costs, verification, and fraud are significant expenses for program operators. Most blockchain-based loyalty and coupon schemes also propose payment in a cryptocurrency. But this is probably more important to the promoters than consumers. • Media buying. The premise for blockchain in media buying is that adtech vendors currently gobble up more than half of every media dollar , and, as Jeff Bezos says, “your margin is my opportunity”. If blockchain let advertisers and publishers connect directly, it could reduce the “adtech toll” significantly. But it's not that simple: each vendor in the adtech space is providing some useful service in exchange for its fees. So any blockchain solution would need to replicate those services or make them unnecessary. That takes more than just accepting blockchain payments. • Ad fraud and brand safety. Blockchain is often proposed as a way to eliminate ad fraud by ensuring buyers only pay for ads that are seen by real people. It could also ensure that ads are only placed on brand-safe Web sites. These are highly feasible applications: they involve a relatively small number of parties (advertisers and publishers); the parties have existing commercial relationships; and they all want to cut out the middlemen. One concern is that verifying that ads are seen by real people may require managing billions of individual identities. There’s also a major scalability issue, since current blockchain networks handle just a few transactions per second. Ternio claims to have solved this but their product isn’t released yet…and as I write this, their Web site is disconcertingly focused on promoting their coin sale. • Content rights. This is paying for commercial use of photographs, music, articles, and other copyrighted materials. Blockchain could easily reduce costs by replacing existing payment mechanisms. It could also streamline other parts of the process, such as recognizing content as it’s used, identifying the user, and connecting the user to the owner. • Payment processing. This has applications well beyond marketing, although marketers can certainly benefit. Blockchain has good potential to reduce costs and cut out some middle men. As with media buying, blockchain must climb some steep scalability mountains before it can replace processes like clearing stock trades or processing credit card transactions. • Supply chain. Yes, blockchain can be used to track products from producer to consumer. But it’s not clear that it removes significant bottlenecks. If you’re going to trace a head of lettuce from farm to grocer, the real challenge is having sensors in place to record each step in its journey. Conventional databases can store the resulting data quite nicely. Similarly, if you want to detect counterfeits by verifying an item’s origin, the biggest hurdle is creating an unalterable physical identifier like an engraved serial number. Blockchain doesn’t help with that. You might use blockchain to store an unalterable registry of the identifiers, but conventional security methods already do a pretty good job of keeping such data secure. • And so on. Here's a nice graphic from Jeremiah Owyang that includes additional blockchain applications. (Read the original article here.) Each is intriguing and highly threatening if you're a middleman in that industry. But in every case, the process can already be done with existing technology or faces problems that blockchain doesn't solve. My conclusion is that blockchain applications will be more evolutionary than revolutionary. They’ll make existing processes more efficient but not introduce entirely new business models. The biggest exception is direct sale of personal data, but I don’t think that will happen. True believers will argue that it’s too early to understand how blockchain will play out. I’ll grant it's impossible to foresee the long-term impact of any major technology. But one way to think about new technology is to imagine a world where that technology is fully deployed: say, where all devices were sentient or communication was free and instantaneous. Your vision won’t get the details right but you will get a sense that things would be radically different. Try that with blockchain: take a few moments to imagine a world where financial transactions are free and data security is absolute. I'll wait. How’d it go? Personally, I didn’t see much of a change. Truth be told, financial transaction costs are already pretty low and security is already pretty good. Existing trust mechanisms aren’t perfect but lack of trust doesn’t get in the way very often. It might be nice in some highly abstract sense to be free from central identity authorities but they don’t interfere much with day-to-day living. 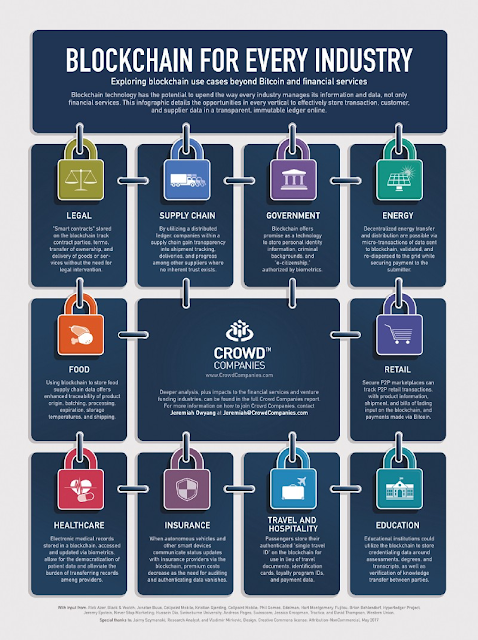 In any event, most authorities would remain in place in a blockchain world. Even identity and financial authorities would still exist, even if they were not under central control. In short, blockchain is interesting and has its advantages. But if you think it will be the biggest change since the Internet, I have some tulip bulbs you might want to buy.